Little is known about the biotechnological and biological properties of exopolysaccharides (EPS) from the species within the Burkholderiaceae family, such as Pandoraea species. For this reason, the rheological, chemical and Infrared (IR) spectroscopy with Attenuated Total Reflection (ATR) studies for two strains, belonging to the genus Pandoraea were carried out, and the anti-biofilm and emulsifying activities of these two strains were also investigated. Surface characteristics of bacterial cell walls of the investigated bacterial (MS5 and AS3) strains were categorized as hydrophilic and, their EPS are heteropolysaccharides composed of different types of functional groups (carbonyl, hydroxyl groups and others). The EPS produced by the Pandorea pnomenusa MS5 inhibited the biofilm production by the Burkholderia cepacia pathogenic strain. 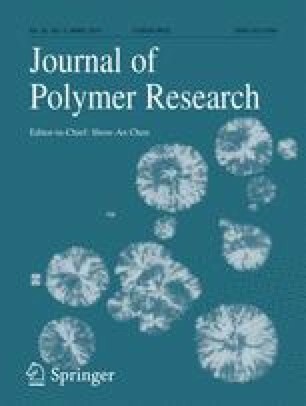 The polymers showed non-Newtonian fluid characteristics such as shear-thinning and gel-like behavior in aqueous solutions, and both EPS demonstrated hydrocarbon/oil emulsifying capabilities. These results demonstrate that the EPS of P. pnomenusa strains could be attractive for use in industrial and environmental applications.